Are you thinking about adding a solar energy system to your home to generate electricity? If so, this consumer guide will help you explore various options, ask important questions and make a well-informed decision. LSU AgCenter NEW! 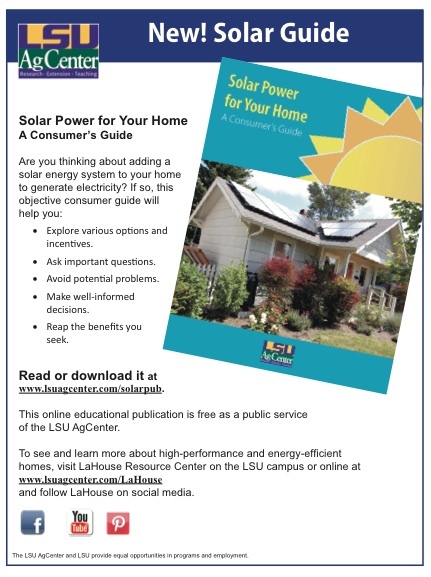 Solar Guide - A Consumer's Guide on Solar Power for Your Home.